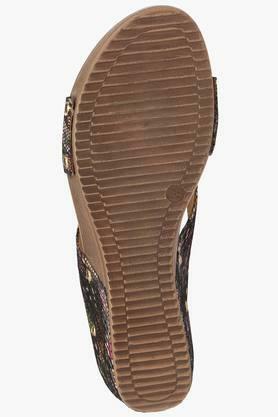 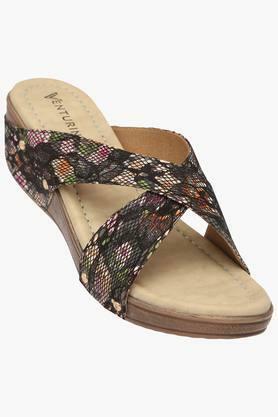 Step out in style by wearing this pair of wedge sandals from the house of Venturini. It comes with a slip on style that makes it convenient to wear while the leather made upper part lends it a refined finish. 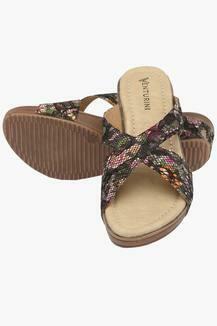 It also has a soft foot bed that promises to keep your feet at ease all day long.